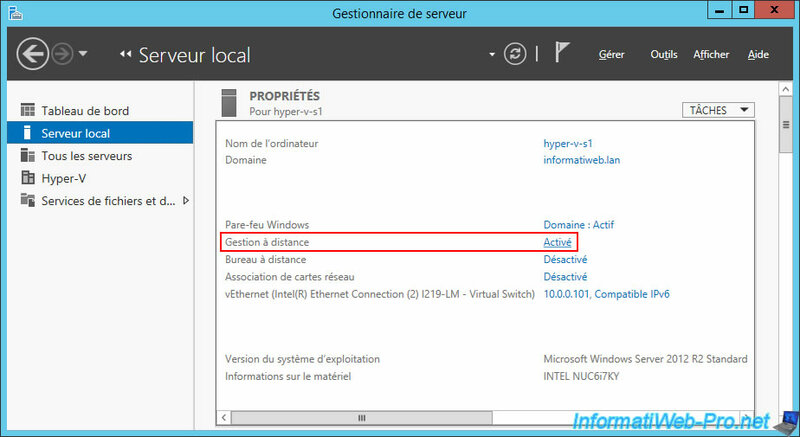 With Windows Server 2012 and 2012 R2, you can manage multiple servers from a single location (in this case : the server manager). That said, for this to be possible, it's recommended to link them to the same Active Directory domain. Then, you will need to configure your remote servers to allow remote management. To allow remote management of a server, open the Server Manager on the server you are managing remotely and click "Local Server". Then, check that the status of "Remote management" is "Enabled". If it doesn't, click "Disabled". Check the "Enable remote management of this server from other computers" box, and then click OK. Otherwise, the "computer [remote server name] cannot be connected" error will be displayed. To allow these rules, go to Control Panel -> System and Security -> Windows Firewall -> Advanced settings. 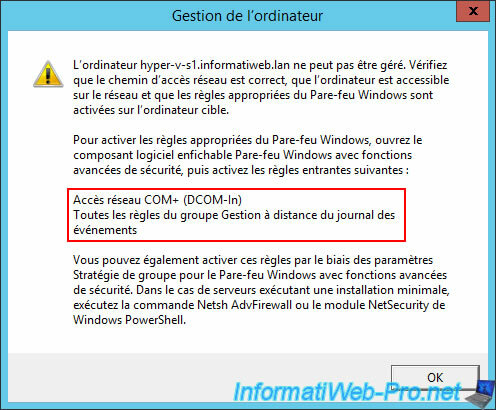 In the "Inbound Rules" section, enable the "COM+ Network Access (DCOM-In)" rule. To better secure these rules (created by Windows), right-click "Properties" on them (one by one). In the "Advanced" tab, uncheck the "Public" box. 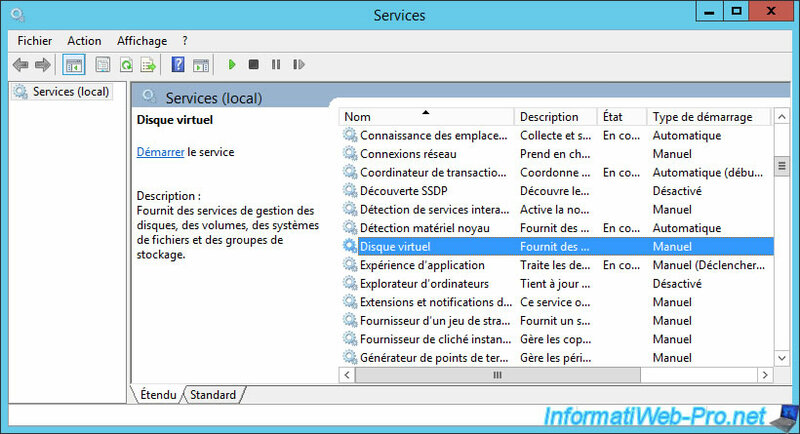 As noted at the end of the "Troubleshooting Disk Management" article from Microsoft, in order to manage the disks of the remote server, you will need to enable the Windows VDS service and allow it in the server's firewall (remote AND source). 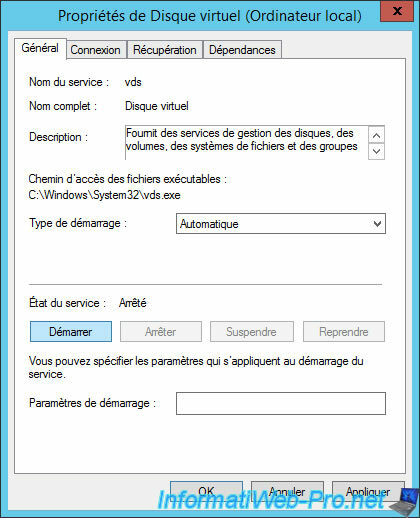 This VDS service is called : Virtual Disk. Right-click "Properties" on this service. As you can see, the real name of this service is "vds". Choose "Automatic" as the startup type, then click "Start". Now, the "Virtual Disk" service is running. 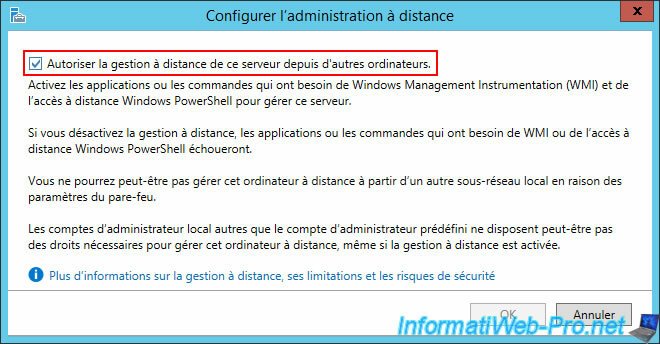 Important : you must allow these rules on the remote server, but ALSO on the source server (where you will launch the "Disk Management" console). In some cases, you may want to go directly to the remote server to perform some manipulations. For this, the remote desktop remains a convenient feature (at least in a local or an enterprise network). To enable the Remote Desktop on Windows Server, open the Server Manager and click on "Local Server". Then, next to "Remote Desktop," click "Disabled". Select : Allow remote connections to this computer. 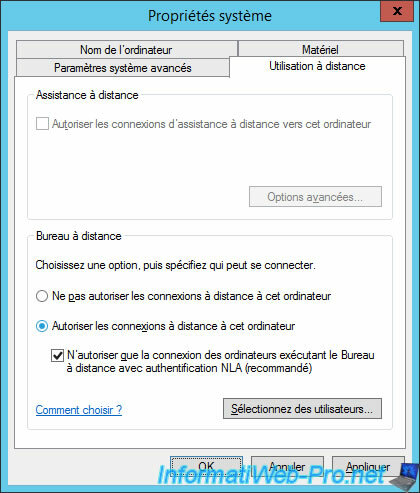 As indicated by Windows, by default, the remote desktop will be allowed from any computer (if the remote user knows the correct username/password combination, of course). 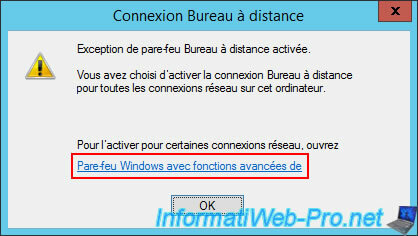 Click on the "Windows Firewall with Advanced Security" link. Right-click "Properties" on these rules (one by one). 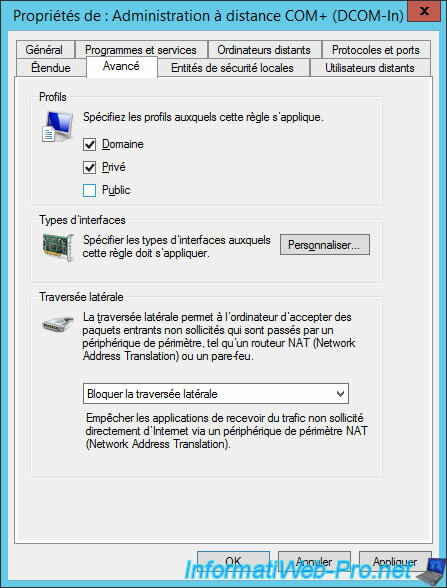 Since we will always access it from the same server (which has a static IP address), we will only allow this server to manage our servers via the remote desktop. 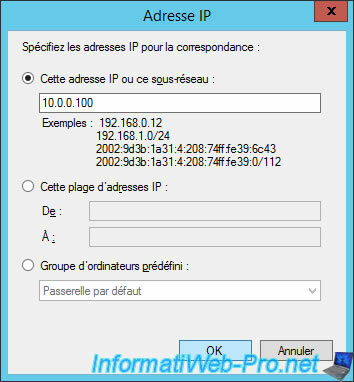 For this, on the server to manage remotely, we go to the "Scope" tab of the rules mentioned above, then we choose "Remote IP address : these IP addresses". Then, we click on Add. 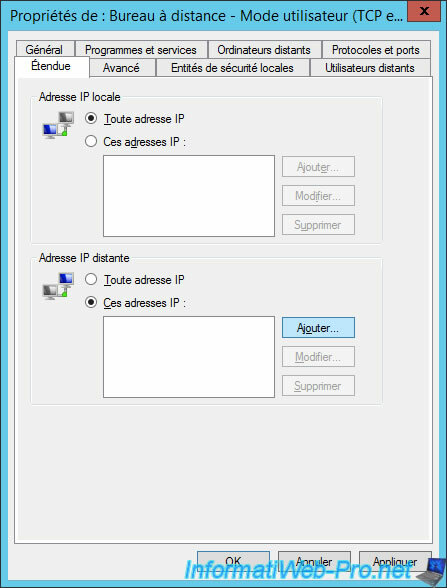 We indicate the address of our server in the 1st box, then we click OK.
Now, the remote desktop is enabled. Note : press F5 if the status has not changed.